Comic will update twice a week on Tuesdays and Thursdays, starting October 31st! 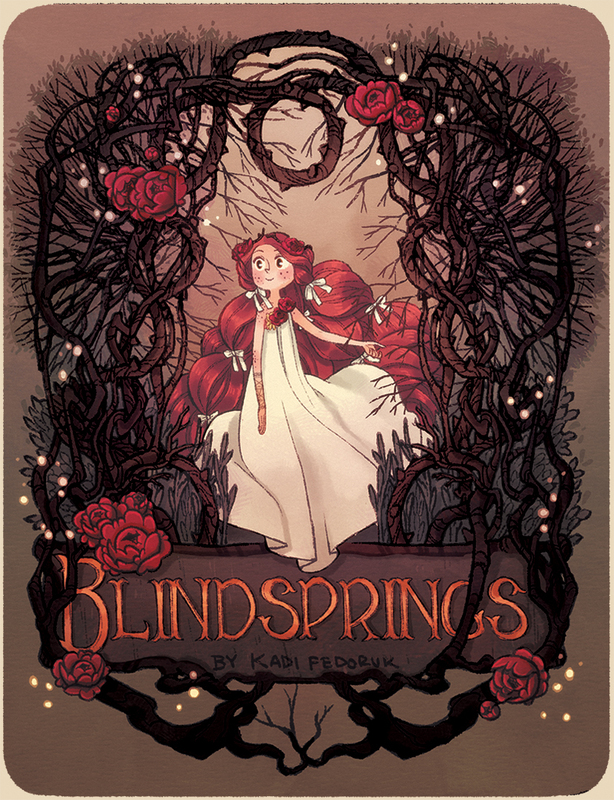 This is the cover to book one (spanning about 4 chapters) of Blindsprings. Let's get ready to start this crazy journey together!